We are now sold out in our Torwood Development in Saline. Be sure to check out our newest neighborhood(Torrey Hill) in Canton. Please call 734-397-9141 for more info. Click the image above to take a tour of two of our communities: Torwood, a neighborhood in Saline, Mich. and Cherry Hill Village, a unique neighborhood in Canton, Mich. This tour details the different houses available, the surrounding area and amenities, and much more! In the past, homeowners stayed in their house for a long time — sometimes, even their entire lives. These folks often tried to put extra money into their mortgage in order to pay off their homes earlier. If retirement is nearing, you may want to consider paying off your mortgage early to avoid worrying about an extra cost each month. 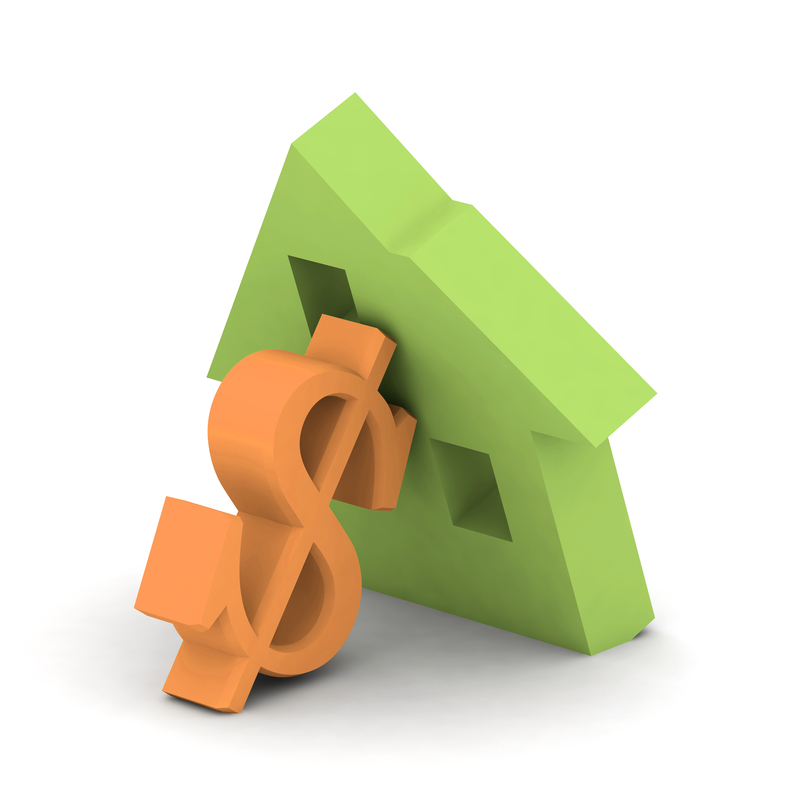 However, for some individuals, it makes more sense to continue paying off a mortgage due to tax reasons. You might want to talk with your accountant about your specific situation. If your home is suitable for your lifestyle, now and in the next 5-10 years, it might be beneficial to pay off your mortgage early. However, if you might move within the next several years, it may not make sense to put your extra money into it. Do you have other investments and emergency funds to keep you afloat, should you put more money into your mortgage? 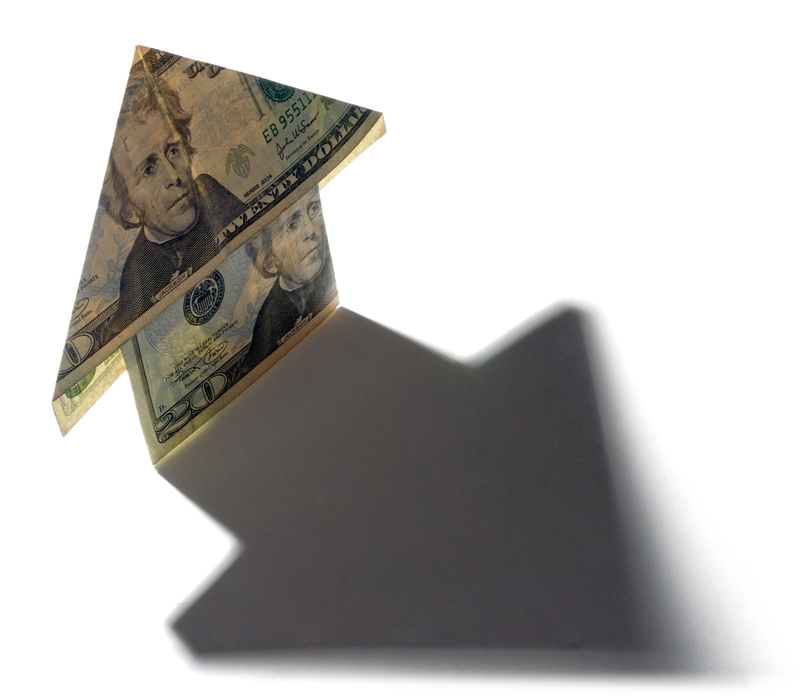 It isn’t easy to draw money back out from your home mortgage, so if it might make you strapped for cash, it’s best to keep the money in reach — perhaps investing it in some other way. Did you pay off your mortgage early? Would you recommend others do it too? Going green in home building is all the rage these days. However, some people are discouraged by the high cost sometimes associated with green technology. So, why should you consider making green choices when buying a new home or remodeling an existing house? Increase your home’s value. Because so many people believe in going green, implementing green technology into your house can make your home more desirable and valuable when you put it on the market. Save money by using less energy. Although the initial cost of green choices might be high, it can pay off in the long run. Choosing to buy Energy Star appliances or install solar panels cuts down on utility costs and will benefit future homeowners. Help preserve the Earth and its resources. 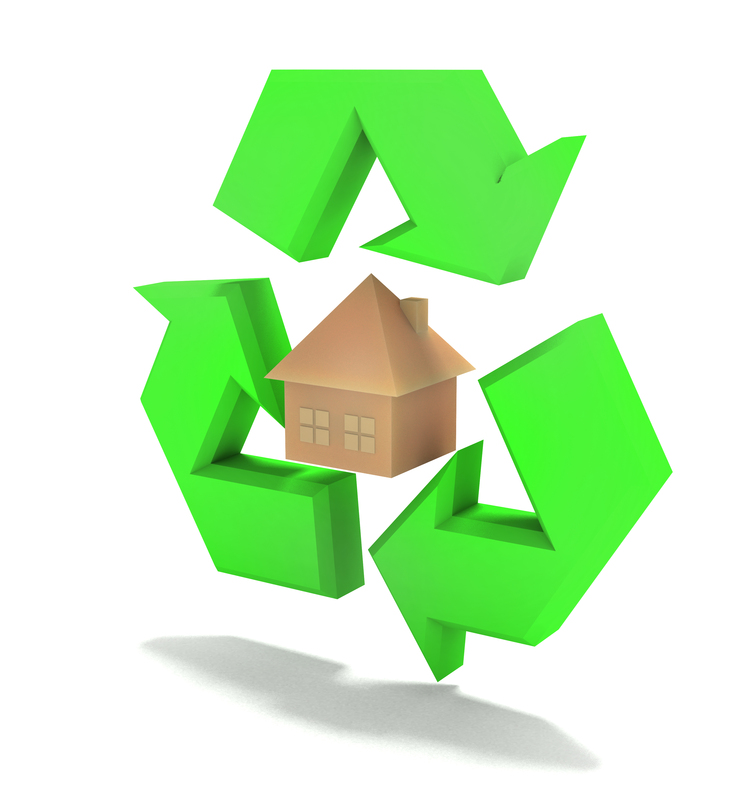 Using green materials is a smart choice for any homeowner that’s conscious of preserving the environment. Create a compost bin with leftover food and waste. You can safely compost the following: coffee grounds and filters, nut shells, fruits and vegetables, egg shells, grass clippings, leaves, newspapers and fireplace ashes. 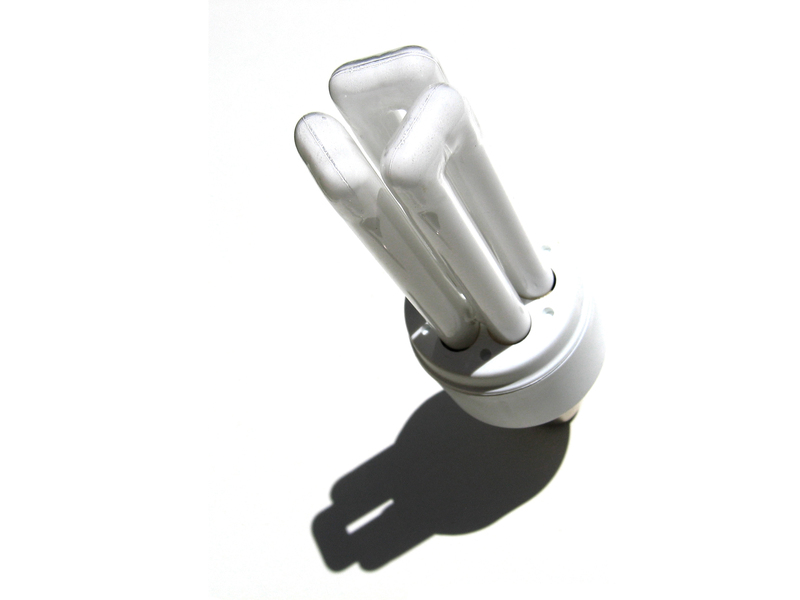 Switch your regular lightbulbs to CFLs. Use more natural light (and less energy) by opening blinds and curtains during the day. Turn off appliances when not in use — particularly computers and televisions. Assess your energy usage through this DIY energy audit. Use less water by cutting down on shower time and doing laundry only a few times per week. Start recycling bins for cardboard, glass, tin cans, etc. and find a recycling center in your area. What have you done to “go green” in your home? We proudly offer Energy Star appliances and Ecostar windows, among other features, in our newly built homes. Buying a new home is exciting — until it comes time to move all of your belongings. Then comes the stress, frustration and irritation of heavy lifting, long days and packing. Create a system – Whether you number, color-code or categorize your boxes, it’s important to have an organizational system in place before you start packing. This way, you’ll know what’s in each box and be able to find your items quickly in your new home. 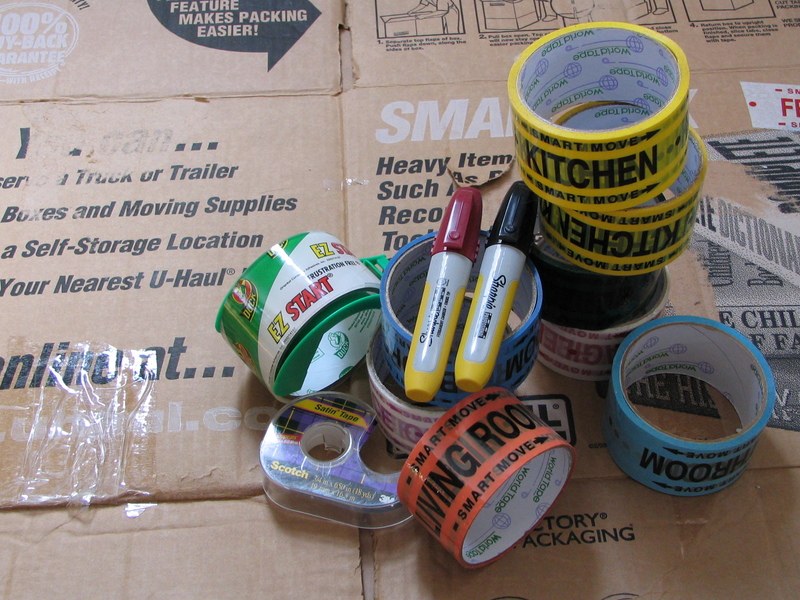 Buy a lot of packing supplies – You’ll need more boxes, tape, markers, etc. than you think. Make sure to buy a variety of boxes in different shapes and sizes for different items. It’s better to have too many than not enough when you’re knee-deep in full boxes and heavy furniture! You can always put extra supplies up on Craigslist after the move. Make a cleaning kit – Cleaning can be a pain during moving, but it’s a necessary step if you want your deposit back or the new home owners to be happy. Instead of packing away important cleaning supplies, keep them in a separate kit inside the home until the last few boxes are ready to be taken out. Pack unused items early – All those dishes, Christmas decorations and extra blankets taking up space in your basement or storage area can be packed away first since they’re rarely used. Pack everyday items and furniture last. Keep related things together – Try not to separate the remote from the television or light bulbs from lamps to make finding these small items easier when you’re in your new home. What Does the Future of the Housing Market Look Like? It’s no secret that the housing market is tough right now for builders and Realtors alike. A recent article on Builder Magazine stated that the future of the housing market will hinge on job creation. The national homeownership rate fell below 67% in 2010, down from 69% in 2004. The excess inventory of unsold homes in 2010 equaled about 700,000 for-sale homes and 160,000 rentals. While most baby boomers are expected to age in place, one in three heads of households aged 65 to 74 relocated in the previous decade, many to smaller homes. If that mobility rate continues, some 3.8 million aging boomers would be moving in this decade. At any rate, baby boomers are projected to increase the number of households over age 65 by 8.7 million, or 35%, in this decade. The “one bright spot” in the housing sector recently is the rental market. Between 2007 and 2009, 1.4 million single-family homes became rental properties. And between 2004 and 2010, the number of renter households expanded by 3.9 million to a total of 37 million. Last year, rental vacancy rates fell to 9.4% in the fourth quarter, the lowest rate since 2003, which reverses a trend in previous years where supply was significantly outpacing demand. However, low-income rental continues to dissipate. Minorities will account for seven out of 10 of the projected 11.8 million new households in 2010-20 (which the Joint Center says is a conservative estimate). Hispanics alone will contribute nearly 40% of that increase, and by 2020 minorities should make up one-third of all U.S. households. Do you see yourself buying a home in the next 5 to 10 years? Why or why not? The builder says that attaining a net-zero home isn’t all about solar panels and windmills, it’s actually about tight sealing and insulation. The home is anticipated to save $2,441 in energy costs annually and generate as much power as it consumes. The house was kept at an affordable price — valued at around $250,000, including the lot — by using low-cost alternatives to high-end finishes and amenities. One example — the builder used fiberglass shower surrounds instead of tile. The project relies on many products and technologies from Michigan-based Dow, including Styrofoam structural insulated sheathing (SIS), insulating foam sealants and weather barriers, and the company’s new Powerhouse solar shingles. What do you think of net-zero homes? Would you make affordable changes to your house if it resulted in using less energy and lower bills?